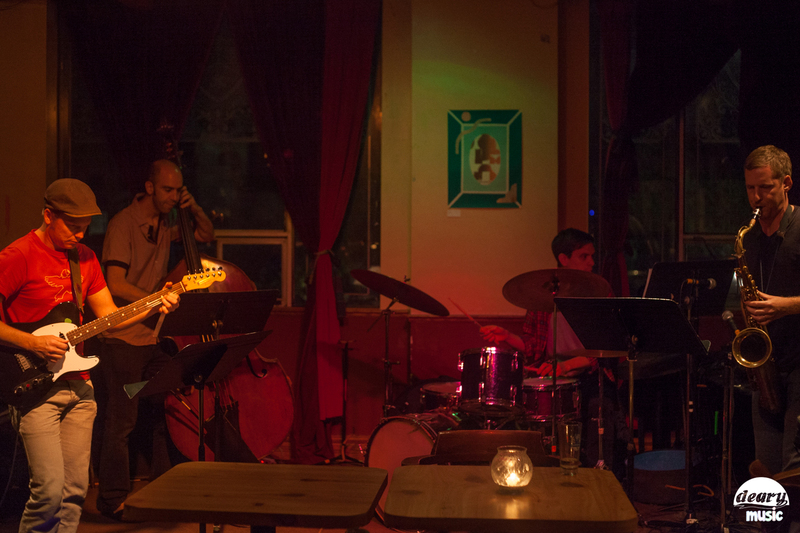 Since we dearly love jazz music, we’d like to introduce you a very niche Toronto based Canadian jazz quartet called Peripheral Vision. The quartet was founded by guitarist Don Scott and bassist Michael Herring. 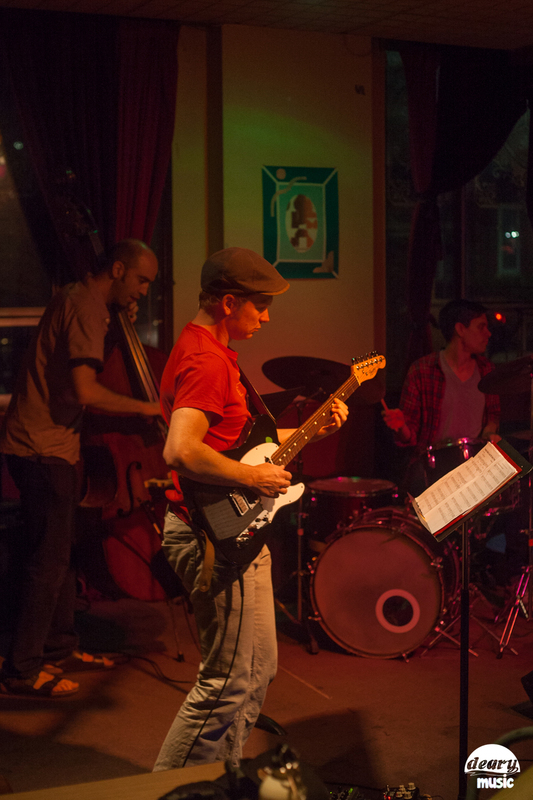 They have been performing in the Toronto jazz scene since 2008. 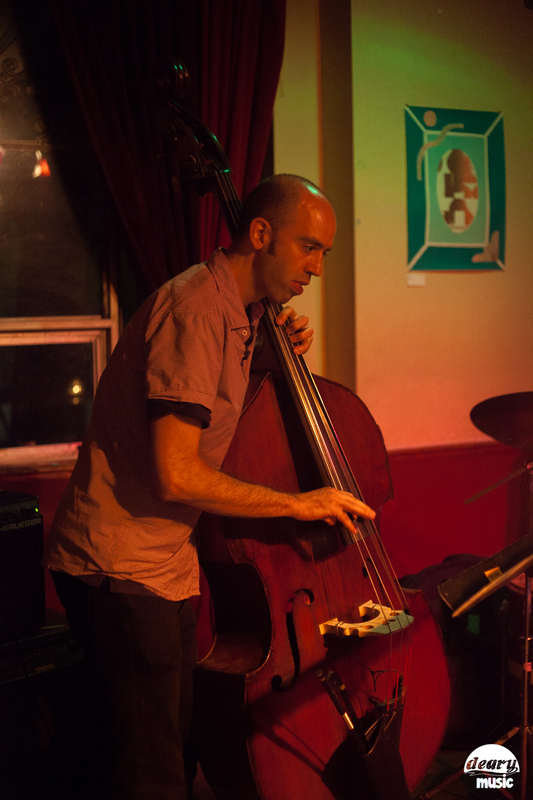 They call themselves “one of the most exciting and innovative jazz quartets to have recently appeared on the international jazz scene” We totally agree with them since we had the opportunity to see their show at the Tranzac on August 5th 2014. The quartet itself is very dynamic and collaborative. We discovered The Peripheral Vision through another of Don Scott’s bands Idioteque (Toronto based Radiohead Tribute) We were quite curious about Dan’s other projects and then we found out about The Peripheral Vision through our investigation. We were really excited to hear “Living the Dream “(one of our favourites) but all the tunes they played were brand new. We have to say we were pretty impressed by the pieces called Patina and Syntax Error. You can check the Patina in the upcoming album. The show provided us the good tunes from “Sheer Tyranny Of Will”. We lost ourselves in experimental tunes as well as in jazz melodies. Posted on September 17, 2014 by deary music	This entry was tagged deary music, experimental, jazz, local, music, quartet, The Peripheral Vision, Toronto, Tranzac. Bookmark the permalink.